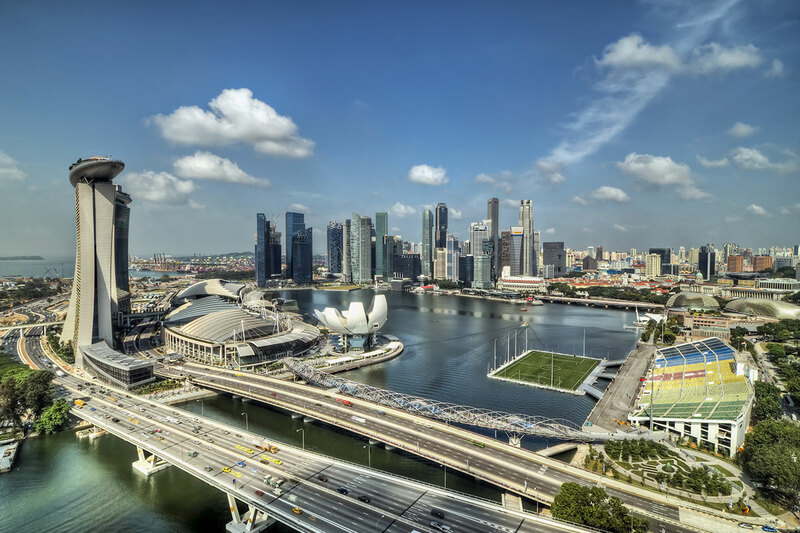 The small and quaint city-state of Singapore has for many years caught the eye of many-a-traveller. This quiet land has a sheen of luxury to it that makes it irresistible to the world. Not only does the city-state have multiple high-rise buildings but it has an equal amount of greenery spread all across the city. So whether you love to shop, eat or simply relax on your vacation, here are a few must-see sights in Singapore. 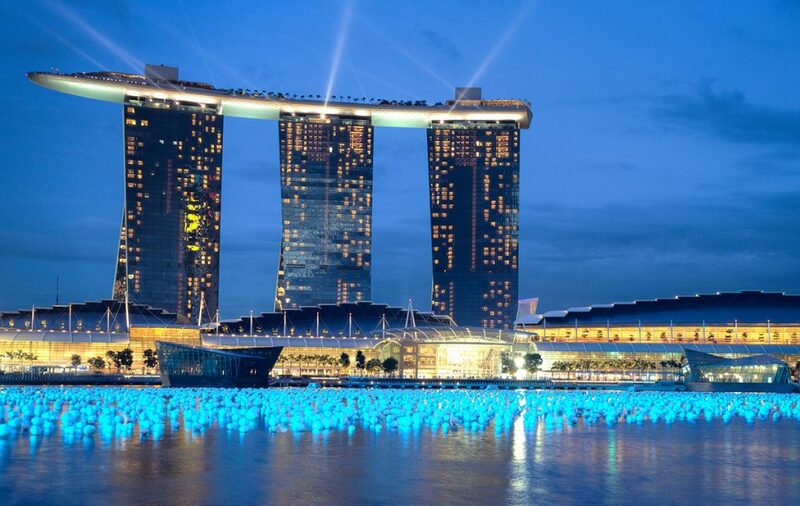 Housing everything from a luxury hotel to a mall filled with luxury brands, the Marina Bay Sands is a one-stop destination for all visitors alike. The hotel sports an amazing vantage point that offers a view of the entire port, a wonderful double helix bridge and the city’s stunning skyline that is sure to leave you breathless! You can also make your way to the Skypark and grab a bite at the rooftop restaurant or even shop for souvenirs to take back home. The Marina Bay Sands is truly an architectural spectacle that has given the Singapore skyline a touch of world class luxury. This one’s for those who find love in lip-smacking dishes and on the dancefloor. Sitting by the city’s quaint river, the quay is full of bustling restaurants, boutique shops, thumping nightclubs and excited revellers. Make the most of the picturesque riverside setting with al fresco style dining along with cuisine from over the world. You can even go bar hopping with your friends at the numerous bars here. The boom in Singapore tourism surely reflects in the volume of tourists that visit this bustling nightlife destination all through the year. This is one of the must-see sights in Singapore. One of the largest observation wheels in the world, the Singapore Flyer will take you for a ride among the clouds. Standing at 165 meters tall, this gigantic wheel stands approximately 30 meters taller than the London Eye. But enough of numbers, the panoramic views it offers during the day are completely different from the ones at night, showing you a radically different side of the city. A ride in the Singapore Flyer will give you a grand view of the Singapore River, Raffles Palace, Marina Bay, Empress Palace and a lot more. For those of you who want to explore a peaceful side of Singapore, you have at your disposal the Gardens by the Bay. A massive and futuristic park by the bay that is lit up multi-coloured lights by sunset – a sight that you absolutely must witness! It is equally colourful during the day thanks to the many colourful fauna at display here. 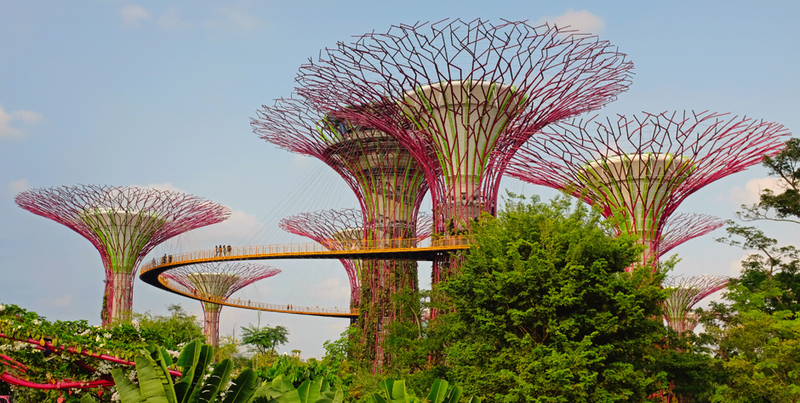 It houses the famous supertree structures that offer an amazing walkway for visitors. This peaceful and quiet garden at the heart of the city is a stark opposite to the world outside, something that most visitors will surely appreciate. Famous all over the world as a symbol of Singapore’s pride, the Merlion is definitely one of the must-see sights in Singapore. 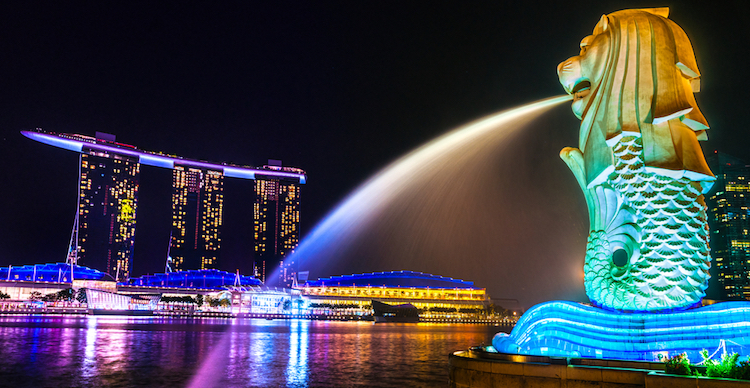 The Merlion is more than just a 70-tonner water-spouting statue, it’s a mystical symbol of the city-state. This spot offers a stunning view of the city and is also one of the most sought-after photo locations. The statue has been and always will be a ‘must-see’ place for tourists. We’ve just equipped you with the perfect list to help you hit all the exciting and amazing spots in Singapore. So make sure to pick from Singapore Holiday packages that will take you visiting to all the amazing places in this jewel of South-East Asia. Planning your trip to Singapore? Here we are sharing things to do and must visit sights in Singapore to experience the best of your holidays.